Megaphone present the first vinyl issue of Silvain Vanot's Bethesda, originally released in 2009. From 1993 to 2002, French recording artist, Silvain Vanot released five albums on Virgin Disques and was blessed with critical praise and a faithful following. Singing in French, yet influenced by Americana, British pop, and Caribbean rhythms, collaborating with Jim O'Rourke, Marc Ribot, and Tanya Donelly, recording in Nashville and New York, opening for Sonic Youth, Silvain never was your typical "chanteur". Together Megaphone's Stephane Bismuth and Silvain gathered in Bethesda (Wales) an unorthodox assemblage of talents: Canterbury legend John Greaves (Henry Cow) on bass and keyboards, special guest BJ Cole on pedal steel guitar, Iain Templeton of Shack fame on drums, fellow colleague Renaud Gabriel Pion (John Cale, Hector Zazou) on bass clarinet, and flute, engineer Steve Powell (The Stairs, Michael Head & The Strands, Ella Guru) behind the desk and, of course, Silvain himself on guitars, harp, and a few other things. In one week they recorded eleven songs of lost love and wit, surrounded by snowy mountains and frozen lakes, sharing mutual tastes for silly jokes, improvisation, and absinthe (though not necessarily in that order). From the opening notes of "Ô Mon Tour", a country waltz with a discreet southern soul flavor to the soft eastern psychedelia of "Les Fleurs", via "Nature Boy (Étrange Garçon)", a French sailor take on Eden Ahbez's classic, Silvain takes you on the most unexpected voyage to Bethesda, a place which in Hebrew means "House of Grace". 180 gram vinyl. Includes one bonus track on the LP. Includes a digital download card with an additional bonus track. Includes a booklet and postcard enclosed with lyrics. Megaphone's 20th anniversary compilation, now on vinyl for the first time. The Megaphone record label was founded in 1997 in the wake of concert promoter Stéphane Bismuth's matchmaking of Liverpool quartet Shack with west-coast legend Love's Arthur Lee, after a 15 year hiatus in the latter's career. Stéphane went on to produce Michael Head & The Strands's classic 1997 album The Magical World of The Strands (MEGAUK 024CD/LP). In the late '90s he discovered, and released material by, the then little known late folk-blues singer Karen Dalton, now acknowledged by Bob Dylan as his favorite singer in the early '60s Greenwich Village scene, quoted by Adele as her favorite singer, and revered by a large following in the new century's sprawling folk scene. 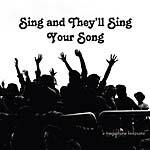 Sing And They'll Sing Your Song features the broad spectrum showcased on the label's releases over twenty years, including "Bahamian Calypso" by Blind Blake, the singer who influenced the first million selling album by a single artist, Harry Belafonte's Calypso, Iraqi Oud, Sicilian young art-rockers, and the first recording endeavor by Julien Barbagallo, a multi-instrumentalist discovered a good seven-hour drive into French countryside, soon bound for fame with Australian band Tame Impala. The title of the compilation is a quote from Alan Price's "Poor People" covered here quite possibly the first time ever. It reflects the number of covers that made their way to the compilation and the label's belief that covers have been discarded too hastily since the '60s, as Karen Dalton's oblivion sadly exemplifies. This compilation comes with a 12-page booklet with unpublished photographs of every artist, including rare shots from the personal archives of Karen Dalton. Features Michael Head & The Strands, Karen Dalton, Simon Dalmais, Silvain Vanot, Lecube, Angil, Antarte, Teppaz & Naz, Blind Blake, and Omar Bashir. Includes a bonus track: a cover of Richard Hawley's "For Your Lover Give Some Time" by Sarah Zeppilli and Hans Ludemann. Isole is the second album by Sicilian band Antarte.Italian post-rock -- half sung in Italian, half instrumental -- reminiscent of Slowdive, The Durutti Column, or A Silver Mt. Zion. Simple melodies in rich texture of stratified instrumental layers with different musical rhythms ranging from the psychedelic moods of "Oasi", through slower arpeggios to more experimental drifts such as "Senza Luna" and "Bolina", where synthesizers, bows, and double bass join guitars, a rhythm section, and a recurrent piano. Recorded and mixed in Agrigento (Sicily). Mastered by Simon Heyworth (SuperAudioMastering, Devon). The Megaphone record label was founded in 1997 in the wake of concert promoter Stéphane Bismuth's matchmaking of Liverpool quartet Shack with west-coast legend Love's Arthur Lee, after a 15 year hiatus in the latter's career. Stéphane went on to produce Michael Head & The Strands's classic 1997 album The Magical World of The Strands (MEGAUK 024CD/LP). In the late '90s he discovered, and released material by, the then little known late folk-blues singer Karen Dalton, now acknowledged by Bob Dylan as his favorite singer in the early '60s Greenwich Village scene, quoted by Adele as her favorite singer, and revered by a large following in the new century's sprawling folk scene. Sing And They'll Sing Your Song features the broad spectrum showcased on the label's releases over twenty years, including "Bahamian Calypso" by Blind Blake, the singer who influenced the first million selling album by a single artist, Harry Belafonte's Calypso, Iraqi Oud, Sicilian young art-rockers, and the first recording endeavor by Julien Barbagallo, a multi-instrumentalist discovered a good seven-hour drive into French countryside, soon bound for fame with Australian band Tame Impala. The title of the compilation is a quote from Alan Price's "Poor People" covered here quite possibly the first time ever. It reflects the number of covers that made their way to the compilation and the label's belief that covers have been discarded too hastily since the '60s, as Karen Dalton's oblivion sadly exemplifies. This compilation comes with a 12-page booklet with unpublished photographs of every artist, including rare shots from the personal archives of Karen Dalton. Features Michael Head & The Strands, Karen Dalton, Simon Dalmais, Silvain Vanot, Lecube, Angil, Antarte, Teppaz & Naz, Blind Blake, and Omar Bashir. 2015 reissue of 2009 solo album by Julien Barbagallo of Tame Impala. Barbagallo was born to Sicilian immigrant parents in the pastoral landscape of the Tarn river basin in Southwest France, where he still lives at the time of this release. His first EP, My Bungalow (Barbabungalow), marked the beginning of his Lecube solo project, and lent him mythical status via the only French magazine that got hold of it, Magic. With a simple eight-track machine and a few intimate songs, Barbagallo began telling the stories he held closest to his chest, a fragile combination of glances and breaths randomly collected on local buses and unmade beds. He took his songs on stage with a band for a year, playing the 20 or so venues that used to be the pride of Greater Toulouse, before the 2001 chemical plant blast put the city back to sleep. Barbagallo also became a full-time member of bands that were signed and so playing further afield, including Paul Stuart and the Sweet Powerpack, with which he played keyboards, and Hyperclean, with which he played drums, while using his own material on an album collaboration with Laure Briard. In the spring of 2004 Barbagallo began to record material on his friend Benjamin's staircase, a collection of songs which were to become From Here to Now; stories in which women he'd love to love meet men he'd love to be, and vice versa. These recordings remained on the stairs until Barbagallo played a local party where he met Stéphane Bismuth of Megaphone Music (Michael Head & The Strands, Angil, Karen Dalton), who convinced him to release his songs as a series of 7"s. Those tracks drew comparisons to The Monochrome Set, Neutral Milk Hotel, Bob Dylan, Syd Barrett, The Byrds, Elliott Smith, Howe Gelb, and a "dodgy Stephen Malkmus," among others. From Here to Now's eight tracks include five from those 7"s. Barbagallo has since returned to rummaging around suburban trash cans and trailing through Tarnish countryside woods and adolescent bedrooms, gathering sensations and stories to sing about. 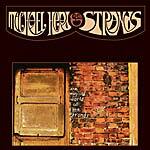 Deluxe reissue of Michael Head's classic 1997 album The Magical World of The Strands. "Head, who is no stranger to either classy, baroque pop or neo-psychedelia, has composed an album of gorgeously illustrated songs that are lushly orchestrated by a standard rock quartet augmented by a flutist (Leslie Roberts) and a string quartet. The result is an album that, while little known, is a classic, a masterpiece of modern chamber pop... this disc walks the line between the deep, darkly expressionistic chamber work of the Tindersticks to the airy, classically augmented breeze-laden pop of Nick Drake à la Five Leaves Left -- long before the millennium obsession with Drake's work began anew because of a Volkswagen commercial" --AllMusic. "This is an elegantly unified work, tough yet guileless, and rustic in tone when the idea of lads with beards and banjos was unheard of. The balance of masterful songcraft with an in-the-moment looseness is probably the defining mood, the group uncrowded and unhurried as they feel their way around 11 folk-influenced, strings-augmented, subtly layered tracks" --Mojo (5/5 stars). In 1993, Head teamed up with his brother John, his longtime drummer Iain Templeton, and two new recruits, Michelle Brown on bass and Les Roberts on flute, and began two years of recording sessions. The sessions came to a halt when Head was offered a major label deal, not for his current work, but for him to record as his previous band Shack again. Weaving rough mixes and sketches -- by engineer Steve Powell, made in Liverpool -- with completed mixes by producer Mark Coyle (Oasis), Stephane Bismuth, the French promoter who initiated the Strands sessions, finally released The Magical World of The Strands on Megaphone in 1997. This reissue includes two bonus tracks, the B-sides to the 1998 NME and Melody Maker Single of the Week "Somethin' Like You." "Green Velvet Jacket" is an acoustic solo piece by Head, and "Queen Matilda (Demo)" was recorded in early 1993 and produced by the band's friend and live engineer Ian Eastwood on a four-track Tascam cassette recorder. Also includes 20-page booklet containing new liner notes by Head himself and photographs testifying to the album sleeve's work-in-progress. Gatefold LP version. Pressed on 180-gram vinyl. Deluxe reissue of Michael Head's classic 1997 album The Magical World of The Strands. "Head, who is no stranger to either classy, baroque pop or neo-psychedelia, has composed an album of gorgeously illustrated songs that are lushly orchestrated by a standard rock quartet augmented by a flutist (Leslie Roberts) and a string quartet. The result is an album that, while little known, is a classic, a masterpiece of modern chamber pop... this disc walks the line between the deep, darkly expressionistic chamber work of the Tindersticks to the airy, classically augmented breeze-laden pop of Nick Drake à la Five Leaves Left -- long before the millennium obsession with Drake's work began anew because of a Volkswagen commercial" --AllMusic. "This is an elegantly unified work, tough yet guileless, and rustic in tone when the idea of lads with beards and banjos was unheard of. The balance of masterful songcraft with an in-the-moment looseness is probably the defining mood, the group uncrowded and unhurried as they feel their way around 11 folk-influenced, strings-augmented, subtly layered tracks" --Mojo (five stars). In 1993, Head teamed up with his brother John, his longtime drummer Iain Templeton, and two new recruits, Michelle Brown on bass and Les Roberts on flute, and began two years of recording sessions. The sessions came to a halt when Head was offered a major label deal, not for his current work, but for him to record as his previous band Shack again. Weaving rough mixes and sketches -- by engineer Steve Powell, made in Liverpool -- with completed mixes by producer Mark Coyle (Oasis), Stephane Bismuth, the French promoter who initiated the Strands sessions, finally released The Magical World of The Strands on Megaphone in 1997. This reissue includes a 20-page booklet containing new liner notes by Head himself and photographs testifying to the album sleeve's work-in-progress. 2015 repress of this acclaimed 2007 double album of previously unheard Karen Dalton live recordings from 1962. These recordings were an unexpected treat, following the hugely acclaimed 2006 reissues of Karen Dalton's studio albums It's So Hard to Tell Who's Going to Love You the Best (1969) and In My Own Time (1971). 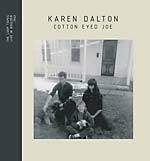 Karen Dalton met Joe Loop in Boulder, Colorado, in 1962; Joe Loop made these recordings of Dalton singing and playing 12-string guitar and banjo at The Attic in Boulder in October 1962. Colorado was a hotbed of folk music; folk singers would stop off in Denver and Boulder en route to California and New York. The area's sparse population welcomed their company, at a time when young nonconformists were personae non gratae in most states. It was a cheap place to live, Boulder had a large university, and both Denver and Boulder had very active folk entrepreneurs. After missing her name in every music history book and encyclopedia for decades, it has since been noted that Karen Dalton was hugely influential on the founding father of folk rock, Fred Neil. Fred Neil only ever broke his reluctance to make public statements on one subject: his awe for and debt to Dalton. Karen Dalton's first LP was recorded in 1969 and it was hard to guess whether she was inspired by Neil or the reverse. His song, "Red Are the Flowers," for instance -- released on his 1964 debut album Tear Down the Walls (as "Red Flowers") in a duet with Vince Martin -- was more in line in terms of style and tempo with the day's hootenannys than with the LPs that Neil would eventually record in 1966 (Fred Neil) and 1967 (Sessions) under the benevolent laissez-faire production of Nik Venet. Karen Dalton's rendition of "Red Are the Flowers" showcase her playing Neil's song in the style that he would later evolve into, when unhinged, and foretells the lyricism that one Tim Buckley would self-admittedly lift from his all-time model, Neil. Another example is "It's Alright," a breath-taking cover of a Ray Charles tune. Another major singer-songwriter under Dalton's spell, Tim Hardin, made no secret of his passion for Ray Charles's music. Hardin is known to have turned from art to music because of his encounter with Dalton in New York, and he spent most of the '60s with her and Joe Loop around Boulder. 2017 repress; now at mid-line pricing; originally released in 2008. 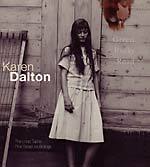 Another chapter in the ever-evolving story of Karen Dalton. These are home recordings, taped by Joe Loop, as was the acclaimed double live album Cotton Eyed Joe (MEGAUK 015CD, 2007). These recordings were made at Dalton's home in Boulder, Colorado, on a reel-to-reel. It sounds like the album Dalton would have released in 1963 had she been given the opportunity. Here are the first takes of "Ribbon Bow," "Katie Cruel," and "In the Evening," and a more complete document of Dalton's repertoire on banjo. During their first long stay in Colorado, Dalton and her husband Richard Tucker were lucky enough to find in Joe Loop an enlightened club owner who would book them often but who was also a self-taught sound engineer. Joe Loop recorded a couple of Dalton's shows, and would also occasionally bring his reel-to-reel machine to Dalton and Tucker's house on Pine Street so they could record their burgeoning musical ideas. Some jams were recorded with Tucker trying his hand at the saxophone, without the ease he showed on vocals. But Dalton was overwhelmed by the reel-to-reel machine's possibilities and would gladly experiment by herself with overdubs -- something of a portastudio a couple of decades before it became a musician's household commodity. By the grace of Joe Loop's faith, we now have a document of what a 1963 Karen Dalton album would be like. 2016 repress. Re-release of this absolutely essential all-time classic folk/blues album, originally released in 1969 and reissued by Megaphone in 2006. Includes booklet and stunning DVD with archival footage. Discovered by Fred Neil, produced by Nik Venet (the man who signed The Beach Boys and took The Beatles to America), and hugely influential on Tim Hardin, Karen Dalton is the lost girl of Greenwich Village, and this is her debut album. Bob Dylan, in his bestselling memoir Chronicles: Volume One (2004), writes, "My favorite singer in the place was Karen Dalton. She was a tall white blues singer and guitar player, funky, lanky and sultry... Karen had a voice like Billie Holiday's and played the guitar like Jimmy Reed and went all the way with it. I sang with her a couple of times."